Though it only costs $15 per square foot of a desperately needed chapel, it’s still a significant cost! Without your help, these chapels simply will not be built! 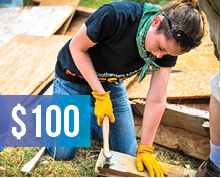 It’s exciting to give to mission projects—and desperately needed! But without your gifts to ministry support as well, our mission projects wouldn't be accomplished. Local planning and labor are needed wherever we build remote chapels. But you can easily pitch in from far away because construction material is essential! We're developing a sermon series to reach wide audiences! By giving to help create these sermons, you’re making the life-giving message more accesible to more cultures. 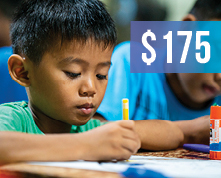 By providing craft supplies, Bible lesson resources and more, you bring precious children to Jesus. 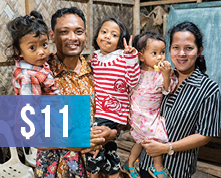 Your gift will supply everything for a 10-day children’s program. Muslim outreach is an extremely sensitive, even dangerous, evangelism work. You can help keep the gospel quietly but swiftly moving in closed areas of the world through local Christian gospel workers. 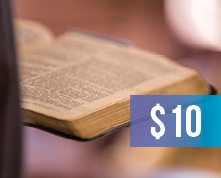 Your generosity will make a tangible impact when you fund an entire chapel building! 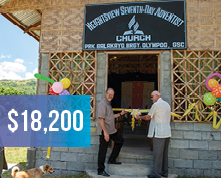 On average, mission field chapels cost $18,200 to build—you can change a whole community! We can spend $4 almost without thinking about it, here in North America! 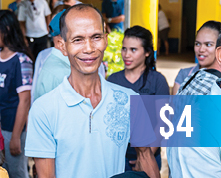 But did you know that every $4 you give to missions reaches one more person with the life-giving gospel of Jesus? 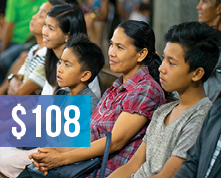 Thousands of people have their lives changed every year by attending our evangelism meetings. In a single venue, hundreds can be reached at a time for a small cost. 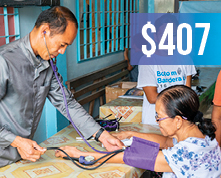 You can help provide basic medical treatment for needy people in the mission field by giving to support clinics! 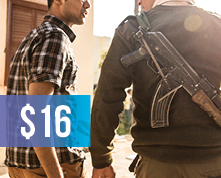 Each $5 you give will treat one more person. A full day of medical clinics can treat hundreds of people and give them an invitation to hear about Jesus. 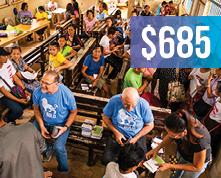 Your generous gift of $685 will make an entire clinic day possible in the field! 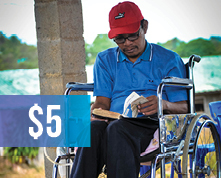 Medical supplies and equipment are needed for our mission field clinics. And with your help, none of our clinics will have to close down early for running out of supplies! 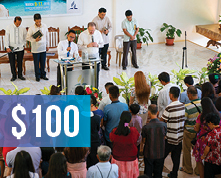 New believers worldwide have accepted the gospel by studying the Bible for themselves. You can provide a local-language Bible for a newly baptized believer, so they can continue learning and sharing their faith. On average, the Bibles you provide are shared by seven people! 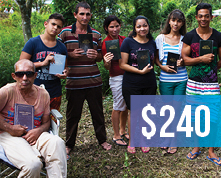 When you give an entire case of Bibles, you’re putting God’s word in the hands of 168 people to study for themselves. It’s the dedicated effort of local gospel workers that brings Bible interests to the evangelism meetings! 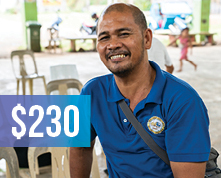 By giving to support a gospel worker, you’re giving directly to soul-winning. Many children in the mission field have never seen felts! 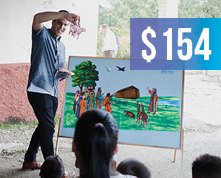 But a Bible story will stick in a child’s mind so much longer with this visual aids you provide for just $154! Our mission teams often see heartbreaking needs among orphans in the field. In conjunction with evangelism efforts, you can help provide supplies, food and clothes to orphans who don’t even have enough to get by! Often mission field congregations don't have dedicated spaces for children! By constructing buildings, you're creating more rooms for kids to gather. Your gift of $3,500 can provide a lamb shelter! 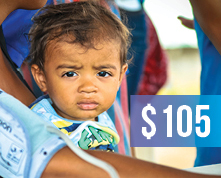 Any amount that you give goes directly to sharing Jesus with thousands of hungry souls. Evangelism, clinics, construction and friendship all provide ways to move hearts to Christ.